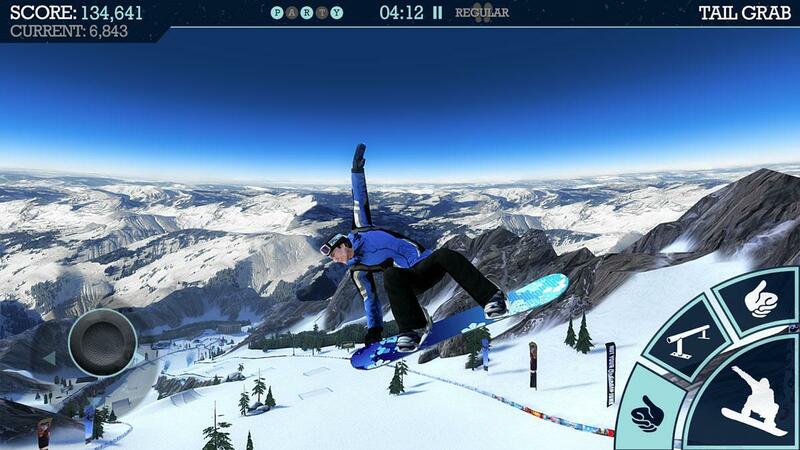 Play this high intensity snowboarding game that’s sure to offer lots of thrilling and memorable moments. Enjoy lots of expertly crafted tracks, each with its own unique design. Perform cool midair tricks to earn points and make a reputation as one of the best of all time. 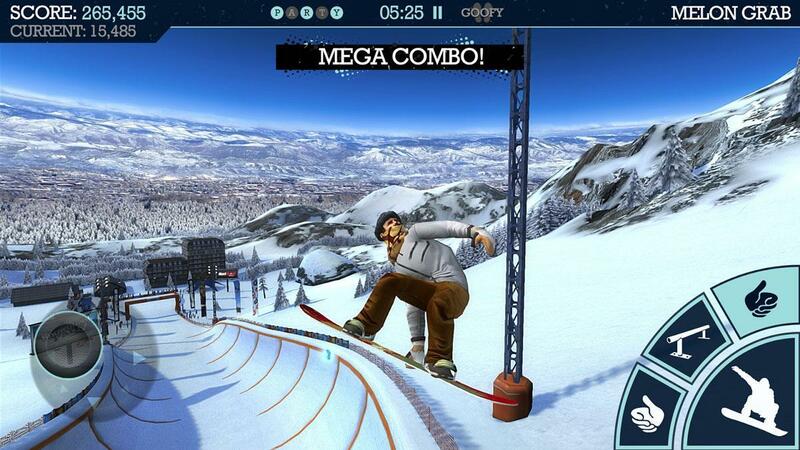 Snowboard Party Lite is a high intensity snowboarding game that provides its players with a very exciting experience. It has basically everything that comes together to make a top tier game such as engrossing gameplay, top notch visuals and of course a fun multiplayer mode that allows players to challenge their friends to see who the very best is. Snowboard Party Lite is by no means an easy game to master simply because there are so many different mechanics to get the hang of and various kinds of tricks to figure out. However, it comes with a very in-depth tutorial sequence that’ll explain pretty much every single thing you need to know in order to play the game properly. You can even repeat the tutorial multiple times to fine-tune your mechanics. On top of all this you can even customize the control scheme according to your preferences which is sure to help you as you try to pull off those difficult tricks. In terms of gameplay, Snowboard Party Lite is one of those games that you can keep playing for hours upon hours and still not got bored. There are multitudes of different snowboarders to choose from and these snowboarders can even be customized according to your preferences. Alongside this there are also multiple kinds of snowboards to choose from as well and each one has its own pros and cons so you should always pick one that’s according to your play-style. The racing tracks themselves are also extremely well designed. Each track has lots of different ramps that you can use to pull off high altitude jumps and during those jumps you can execute flashy tricks to wow the audience. There are over 20 different tracks to play in and alongside this there are also over 50 tricks to learn so this game will definitely have you hooked for a pretty significant amount of time as you explore all the amazing stuff that it has to offer. As for the actual snowboarding mechanics, controlling the character feels smooth which is very important in a game like this that relies so much on precise timing. Also, like mentioned before, you can customize the controls according to your preferences which is definitely something that players will appreciate quite a bit. 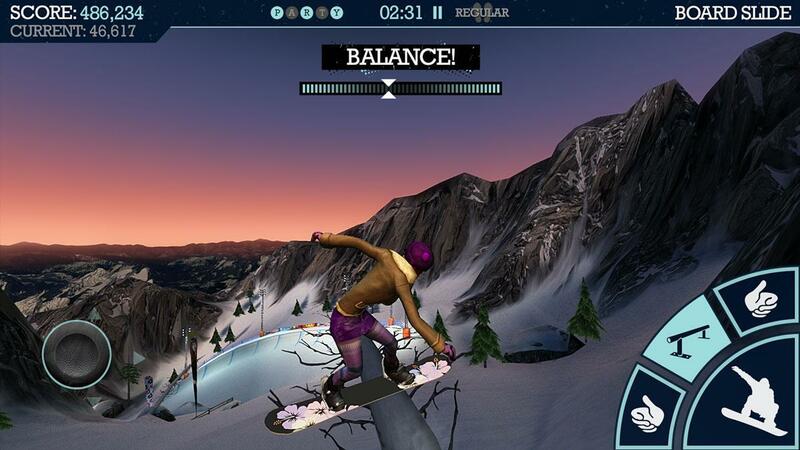 Snowboard Party Lite is not only extremely fun to play but it looks fantastic as well. The game has beautiful visuals as evidenced by the highly detailed snowboarders and snowboards, amazing looking tracks that look absolutely phenomenal and some very fluid animations as well that you’ll see when pulling off tricks mid air. The game’s free to play but it does have a bunch of in-game micro-transactions that you can go through to get your hands on things like snowboarders and of course snowboards. Snowboard Party Lite is a very addictive game that can keep you entertained for hours upon hours every single day thanks to its amazing variety and engaging gameplay.